Sequel being produced by Katsura Mikami. The latest issue of Weekly Famitsu has new details on the newly announced Valkyria Chronicles 4. The tactical RPG is being produced by Katsura Mikami, who was one of the producers of this year’s Valkyria Revolution. 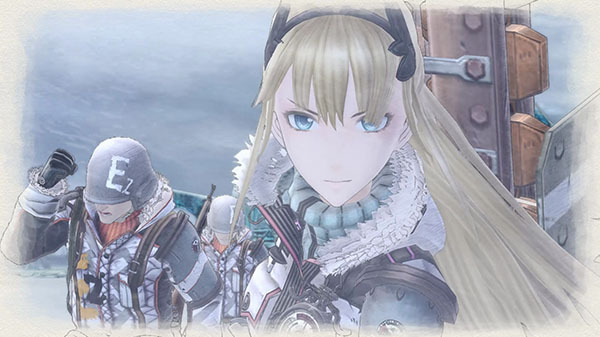 According to Mikami, Valkyria Chronicles 4 will be a “proper evolution that returns to [the series’] origins.” It is set in the same era and intense cold region as the first game. The new “Grenadier” class can use grenade guns that have long range and high ballistic altitude. By firing it in the sky, you can unleash an attack that flies over the enemy’s cover. If an ally catches hold of the enemy’s location information on the front lines, a Grenadier can attack the enemy without the enemy seeing them. However, they cannot attack an enemy directly in front of them. Valkyria Chronicles 4 is due out for PlayStation 4 on March 21, 2018 and for Switch in summer 2018 in Japan, and for PlayStation 4, Xbox One, and Switch in 2018 in the Americas and Europe. Raz is quick to get into fights and talks with a rough tone, but is a passionate man who cares for his friends. Kai Schulen is a silent and blunt character who speaks with a manly tone. The familiar Tanks, Scouts, Engineers, Lancers, and such of the series will also appear. The three-way deadlock of Soldiers, Lancers, and Tanks is also alive and well. Development on Valkyria Chronicles 4 is currently 90 percent complete.